Type 7901 Green PVC Pump Suction Hose is a durable PVC hose designed for water suction and transfer applications. 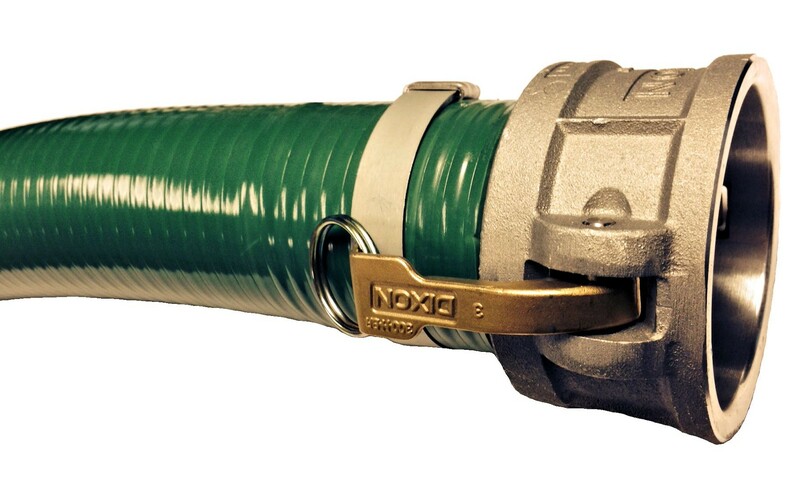 This hose is commonly installed as contractor pump suction and for agricultural water and light chemical service. It is designed for long service life in equipment rental with a smooth interior and exterior and a full vacuum rating (at ambient temperature). This hose can also be use as a rigid discharge hose where a lay-flat is not desired. PVC suction hose is available in a broad range of sizes and configurations. A corrugated cover, clear wall, and a gray color are available in select popular sizes. An FDA rated grade clear version is also available. While type 7901 suction hose is suitable for many light chemical solutions, consult customer service for chemical compatibility information.